With September upon us and Dreamforce 2015 on the near horizon it’s time to dispel thoughts of sunshine and holidays and get focused on the upcoming Winter release. Whilst it’s undoubtedly depressing to be reading the word Winter in early September, there’s plenty in the new release to raise the spirits. It’s also clear that with significant platform changes emerging, i.e. Lighting Experience, this is an important time to be on the front-foot in terms of keeping personal platform expertise up-to-date. 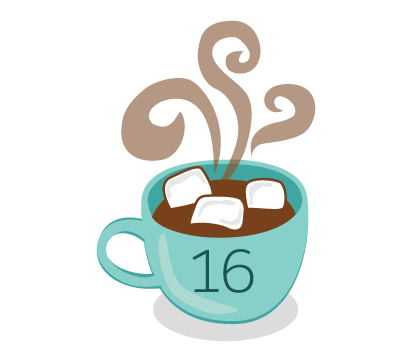 For Salesforce professionals or engaged users, the Winter ’16 release presents a great opportunity to reset your knowledge of the platform. Pre-release sign-up appears to be offline at present, however existing pre-release orgs should be updated and available to explore. A preview set of release notes can be downloaded from here. The rollout window for production instances is between the 25th September and the 17th October, specific instance dates are stated on the trust.salesforce.com site. This post briefly outlines selected highlights related to the Force.com platform (in no order of significance). As the marketing literature states; a new, modern, intelligent user experience – or, in other words the new Salesforce. With Winter ’16 we’re entering a new transitional era for the platform with features migrating from the Salesforce Classic UI (Aloha) across to Salesforce Lightning Experience presumably over the course of a series of releases. This journey starts with a focused Sales Cloud offering. The updated user interface looks like a significant advancement, however many users will need to navigate both interfaces which may degrade the overall user experience. It should be noted that access to the Lighting Experience desktop experience is permission based (profile or permission set) and therefore user access can be selective. The new experience is more than a cosmetic update, a number of object-specific features (e.g. Account Insights, Opportunity Workspace) are introduced that increase the functional richness provided and deliver a more focused view than the generic interaction patterns applied in the Aloha interface. Visualforce support in Salesforce Lighting Experience will be GA in the Spring ’16 release, for Winter ’16 this is desginated a beta status. Support in this context means rendering with the Aloha look and feel, pages will not inherit a Lighting Experience visual style via the container, instead Visualforce pages will need to be redeveloped using Lightning Components and the Lightning Design System to reflect the new visual style. Where investments have been made in Visualforce (ISVs for example) the lack of migration path could represent a significant amount of work. The Lightning Design System (LDS) provides the CSS and design guidelines necessary to develop user interface components that are consistent with the Lightning Experience visual design. A new Force.com platform cache has been added that supports both org-level and session-level data caching. The cache can be accessed from Apex via the Cache namespace and provides obvious performance and reliability benefits. A Session cache has been required for Visualforce for some time to help reduce viewstate pressure, the Org cache will remove the need for Custom Setting based solutions for shared/global data. Available cache space can be distributed across partitions to provide control over application-level usage. An extension to the Eclipse based Force.com IDE that provides support for breakpoints. This is a major advancement for Apex development. Step Over, Step Into, Run To… all the usual breakpoint related features are supported. At long last Apex has some degree of basic parity with other languages where this capability is taken for granted. The release notes mention that for some customers the Apex Debugger may incur additional costs, the detail of which is yet to be seen. The Lighting Process Builder is a powerful new platform automation feature – unfortunately to date Processes have not been bulk-safe and have a tendency to throw platform limit exceptions during bulk record operations; typically Soql query limit exceptions. The mitigation for which has been to suppress the batch size to a safe point – a reasonable but not entirely satisfactory resolution. With the Winter ’16 release Soql queries within a transaction are bucketed, meaning combined, to reduce the overall number of queries executed. In principle, this practice enables the limit to be avoided and the transaction to complete. This feels like a temporary resolution to the problem while a more significant re-engineering takes place, I understand that the issues here are not trivial. An obvious next step for Lighting Connect – the ability to write back to External Objects. Previously External Objects have provided read-only views on the external datasets. The new write support covers OData and custom Apex adapters but not the Salesforce adapter. Record modifications via the UI occur synchronously, while Apex invoked changes are applied via an asynchronous queue. Winter ’16 Community Builder templates are now extensible meaning additional Salesforce functionality, content and navigation paths can be configured extending the available features beyond the constraints of the predefined templates. This additional level of configuration takes place directly within the Community Builder, removing the need to use Site.com Studio. Winter ’16 template pages are compatible with Lightning technology meaning Lighting components can be used. This topic is huge but suffice to say the new streamlined development workflow and ability to extend the pre-defined templates to new use cases both represent a significant step forward for Community Templates. Chatter Groups, whether public, private or unlisted can now be configured to allow only the group owner or manager to create posts. Anyone who’s used Chatter groups extensively will recognise the requirement to support one-way, focused communication and to avoid off-topic posts. I can think of a few Salesforce partner community groups that will be implementing this feature asap. Chatter Questions now supports the display of Similar Questions and Knowledge Articles inline while typing the question text. An obvious extension, to a highly useful feature, that should reduce the level of duplicate questions and increase the consistency in answers provided, particularly where deflection occurs via knowledge base article. A new “Strictly enforce picklist values” attribute for picklist fields can be used to prevent input of values outside of the defined list via the data APIs. This new feature should be highly beneficial to anyone loading data and avoids the historic silent-error problem where picklist data mismatches go unnoticed. The new limit is 25 per-object, replacing the old limit of 10. RSF are a great platform feature; incredibly powerful, intuitive for the end-user and quick to implement.